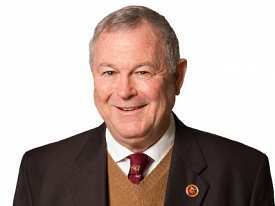 Last week, Republican Congressman Dana Rohrabacher made a move in the House of Representatives that sought to place further protection on the state rights of marijuana regulation with his re-introduction of the Respect State Laws Act. This was good news for CalCann partners Aaron Herzberg and Chris Francy, who celebrate major gains in the federal discourse around marijuana legalization when they emerge. This bill, if made law would exempt those who are accessing medical marijuana in a legalized state from being persecuted under the Controlled Substances Act, which will allow state law to trump federal law in terms of marijuana possession. This is not the first time Rohrabacher has introduced the Respect State Laws Act. As a medical marijuana user himself, he introduced the bill in 2013 and in 2015, both times with co-sponsors. His constant advocacy has brought important attention to the need for medical marijuana users to be able to freely exercise their ability to use marijuana as a medical treatment without persecution under the law. As Chris Francy and Aaron Herzberg, partners at CalCann Holdings would agree, this move is an important one at the federal level that will help clients overlook the constant reminder from the feds that marijuana is still contentious. Chris Francy and other legal marijuana industry representatives greatly respect the advocacy efforts of Rohrabacher, who are able to make admissions about their marijuana use and the affects that have been observed through medical marijuana treatment. As a Republican, he can be a powerful voice within his party and for his leadership to recognize the benefits of legalizing marijuana. As a partner of CalCann, Chris Francy gets a lot of questions surrounding the often confusing relationship between marijuana legalization at the state level and how it is viewed at the federal level. While proud to live and work in the state of California, which has now legalized both medical and recreational marijuana at the state level, the constant looming of federal disapproval can sometimes muddy the waters for those emerging in the legal marijuana industry as well as the users who are trying it for the first time. It will be interesting for Chris Francy and his partners at CalCann, as well as those who work in the legal marijuana industry to observe what happens now that Congressman Rohrabacher has reintroduced this bill. Needless to say, it’s important to celebrate along with Chris Francy the small steps that will eventually lead to great leaps towards marijuana legalization across the country.